Many high schools have at least a semester-long foreign language requirement. When it came time for me to choose mine, the options were limited to the usual: Spanish, French, German, or (the one wild card) Latin. Athough college offered more variety in this sense, it wasn’t common for someone to study a truly “endangered” language. Today we highlight the endangered indigenous language of Cherokee – and maybe even convince you to help save it from extinction! Even though only about 16,000 people speak Cherokee today, it is one of the most well-preserved indigenous languages of North America. Today, the largest percentage of speakers reside in Oklahoma and North Carolina. Cherokee is incredibly difficult for native English speakers to learn, since the context, the object, the action, and other connotations can be conveyed within one single word. In English, we usually use a full sentence to express our thoughts. A monolingual Cherokee farmer named Sequoyah invented the Cherokee writing system, or “syllabary,” in 1821 – before that, it was a spoken language only. Although his work soon became fundamental to the Cherokee culture, Sequoyah was actually illiterate when he first created the system. Verbs comprise about 75% of the Cherokee language and are the most important word type. Compare this to only 25% of English! Each verb in Cherokee has to have a pronominal prefix (for example, first person singular), a verb root (indicates the action), and an aspect suffix and modal suffix (both indicate the tense). Given all combinations of these elements, there are 21,262 possible inflected verb forms. There has recently been a renewed interest among Cherokee youth to maintain the language and history of their ancestors. Unfortunately, public schools (and sometimes even family members) tend to discourage the use of Cherokee, usually teaching only English. It is difficult for these children to maintain their native language without the opportunity to actively practice. Cherokee has six tones (high, low, rising, falling, highfall, and lowfall) that are still important to understand, but are used more strictly by elderly speakers of the language. Younger generations these days are simplifying the tone system – perhaps to make the language easier to grasp for new speakers. This means that many different morphemes can be linked together to form one word. Morphemes are parts of words that have their own meanings, but may not be able to stand alone. For example, the Cherokee word datsigowhtisgv'i means, “I was seeing something facing me”. The different word parts are da- (something facing the speaker), tsi- (first person conjugation), gowhti (to see), -sg- (ongoing action), and v’I (past tense). Yikes! This is a certain type of alphabet where each character is used to represent a whole syllable. Syllabary could be difficult for English speakers to grasp, since each of our letters represents a single sound. Why should we care about saving Cherokee (and other endangered languages)? Cherokee in particular carries with it a rich indigenous history that spans centuries. If we fail to preserve it, we risk losing not only the language itself but deep ancestral knowledge and ancient spiritual traditions. Even if you don’t speak one of these languages yourself, you can help preserve them simply by respecting and learning more about those who do. Mango Languages now offers all of our endangered language courses free of charge to anyone interested in learning. 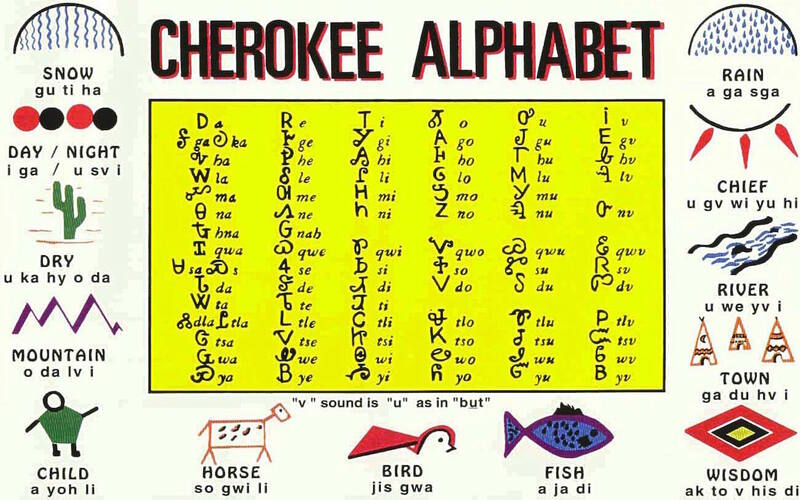 Visit our endangered languages page to give Cherokee or any of the other endangered languages a try. For the background story on how and why Mango Languages created the Cherokee course, check out our previous post: Introducing Mango's New Cherokee Language Course. Psst! Tune in at the end of this week for a spotlight on another endangered language: Scottish Gaelic!